We start this list with a shirt that I wouldn't have been too surprised to see Adidas rolling out for Chelsea when they still made their shirts. Adidas do like to use combinations of colours that really standout against each other. One of my favourite colours is orange so whenever I see a shirt with this colour present I instantly take a shine to it. 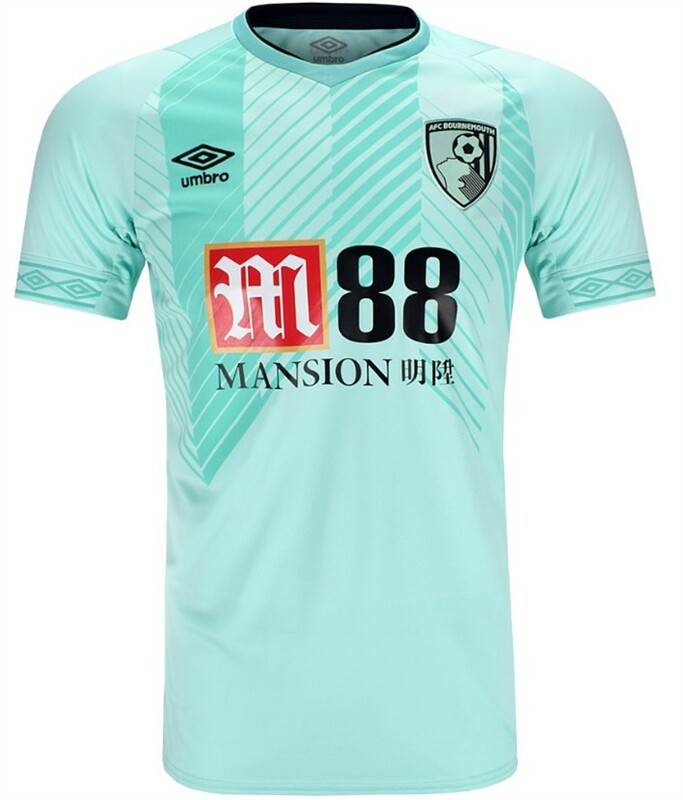 It is rather unusual though to see a shirt utilising two uncommon colours when it comes to the designing of a football shirt. There are few grey shirts that I can think back on so when you couple this with orange you really do have a unique shirt on your hands. The faint checkerboard print running through the shirt is subtle but it gives the shirt another dimension. If it had been a solid grey colour then I am not sure how good it would have looked as may have been too harsh on the eyes. My only annoyance with this shirt is the sponsor on the front. I cant help but think that if it was orange in colour also that it might make the shirt look more complete and whole. I am not sure how well this shirt will transition to watching the players on the pitch as grey isn't a colour the typically stands out but as a potential collectors piece for a fan it, in my eyes is a different style to what most teams may typically be expecting. I have this weird fascination with vertical lines on shirts that are broken up by sponsors. There have been countless times that I have seen a shirt and the vertical (or horizontal) lines have gone straight through the sponsor either making the sponsor illegible or just making the shirt as a whole look messy. So when I see a shirt like this one from Man City I praise the people who had the foresight to place some breaks in the vertical lines to allow for the sponsor to be placed. The only time this becomes a problem is when they offer a sponsor-less version of the shirt which leaves you with a random gap in the centre of the shirt which in my opinion looks worse than when a sponsor is present. 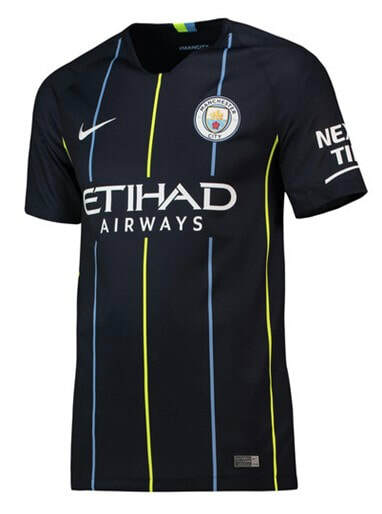 With this shirt if I was being hyper critical I might ask for the vertical lines that pass through the Nike and Man City logos to break up in the same fashion as they do for the sponsor. The colour scheme is simple and well presented. The yellow parts are my favourites as I do like it when a darker shirt is brought to life, if ever so slightly by some instance of bright colouring. 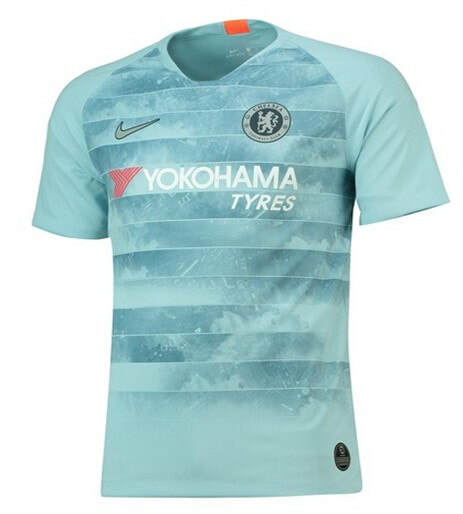 I very rarely get a chance to see vertical stripes as a Chelsea fan and if Nike released a similar style shirt as this for Chelsea next season I wouldn't be unhappy. Sometimes you don't need extravagance. The next shirts will follow a similar colour scheme. For someone who is really into bold and brash colours I find myself this season being drawn to the softer and more relaxing colours that have been used for this season. It was a toss up between this and the shirt that sits second in this list, with the other shirt coming out on top with it having a slightly quirkier design. Light blue colour schemes when done right are probably the best option to utilise if your club colour pallet will allow it. It is especially great if the club logo colour matches the overall colour of the shirt. I always prefer this over a logo that stays the same colour regardless of the design and shade of the shirt. I may be in a minority here but I feel that the sponsor works well with the overall look of the shirt. The red and gold "M" stands out in good contrast to the rest of the shirt. A poorly positioned and designed sponsor can ruin a great shirt but I feel that this shirt works well with how it has been placed. I like how the Umbro diamonds along the sleeves are subtly camouflaged within the overall shirt. You notice them but they don't distract the viewer from the overall look of the shirt. 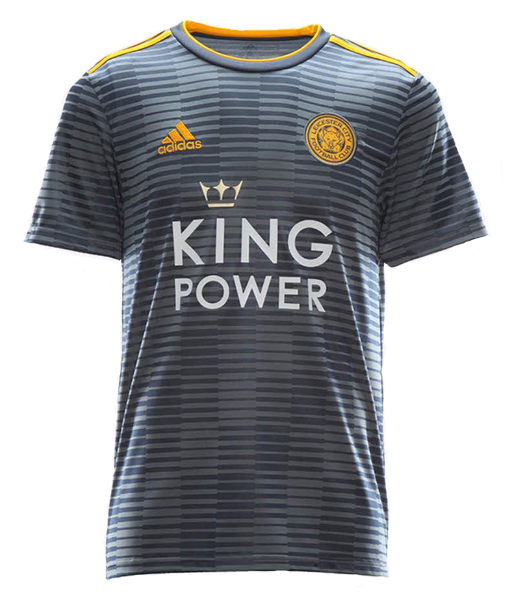 There is just something about this shirt to me that causes it to standout against most of the other shirts released this season. It could be the crisp design that is present on the front of the shirt. Maybe it is the simple, easy on the eye colour scheme that Umbro have used. Or maybe it is just the Angry Birds advertisement on the left sleeve. No matter what it is I am fairly confident to say that this shirt is a cool shirt to look at. 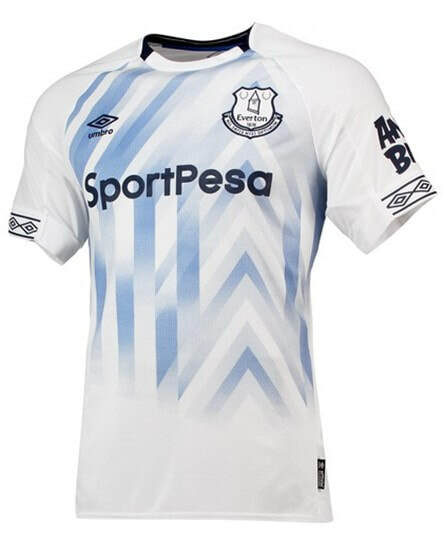 If you look at the front design independently of the rest of the shirt you would be correct to think that it is a bit ham-fisted as it doesn't seem to follow any traditional pattern that you might see being used on a football shirt. Typically symmetrical shapes and colours are expected to be present on a shirt. However when you pair the design with the colour scheme and throw in a few logos and sponsors you cant disagree that it doesn't look out of place. Umbro have really begun to turn up their efforts over the last few seasons and have started to release what I believe are some top quality shirt designs. A third shirt is an opportunity to get creative with the design and the artwork as a third shirt isn't massively connected to the history of most clubs and as such you have more freedom when it comes to construct one. Remember all that stuff about ignoring my biases, well it is still true. Sure it looks suspect seeing a Chelsea shirt at the top of the list when I am a Chelsea fan but I cannot see any other shirt released this season beating this one based purely on design. I love it when a shirt adds an extra dimension to the overall look and this one has certainly done that. Any shirt that is able to highlight the environment that it is located within is a winner in my books. The fact that it is able to showcase the geography of where the club is situated allows the fan wearing this shirt feel a little bit more connected to the club than they may already do so. The combination of colours used for the shirt is a wonderful mixture in my opinion. The calming blue with a small hint of orange helps the shirt standout for all the right reasons. I was waiting for Nike to pull something off now that they are the manufacturer of the Chelsea shirts and I think that this shirt is one of the best examples released in the last ten years or so for Chelsea. I cannot wait to be able to add this shirt to my collection and hope that we can lift some trophies having worn this wonderful shirt throughout the season.